Mella is Money. Becky Lynch is on a streak hotter than straight fire. And now Charlotte Flair is back with the natural focus of a champion. Which of the three elite Superstars will walk away from their SummerSlam Triple Threat Match with the SmackDown Women’s Title? Lynch, the first-ever SmackDown Women’s Champion, has been chasing the title for almost two years, often coming up just short despite an overwhelming amount of grassroots support from the WWE Universe. The ever-resilient Becky Balboa has recently found new, amassing a 5-0 streak that culminated in a victory over The Princess of Staten Island — the very defeat that earned her the title match. However, the championship bout was destined to become more complicated with the reemergence of The Queen. 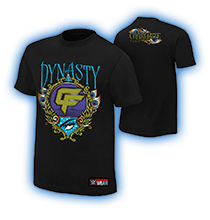 Flair turned the established title match upside-down after returning to SmackDown LIVE to help Becky fend off Carmella’s sneak-attack and overcoming the titleholder in the show’s main event. The Queen’s win transformed the SummerSlam championship showdown into a Triple Threat Match. Having the six-time Women’s Champion in the contest will undoubtably change the dynamic. As fearless as she is athletic, Charlotte she is one of many Superstars responsible for the Women’s Evolution, from being the longest-reigning SmackDown Women’s Champion to competing in the first-ever Women’s Hell in a Cell Match against Sasha Banks. After having her title stolen from her via Carmella’s cash-in, she will enter The Biggest Event of the Summer with a score to settle with The Princess of Staten Island. The Queen and The Irish Lass Kicker would be wise not to underestimate a competitor like the arguably underrated titleholder. Like her of loathe her, Carmella knows how to win when it counts. She has played every technicality and loophole in the book to her advantage, using a Money in the Bank cash-in to dethrone Flair, taking advantage of an injury to win the rematch and wrangling James Ellsworth back from exile to survive two challenges from Asuka. Though her chinless accomplice has since been fired for a second time, Mella has shown that she has pretty of tricks up her sleeve and will definitely not go quietly into that good night. 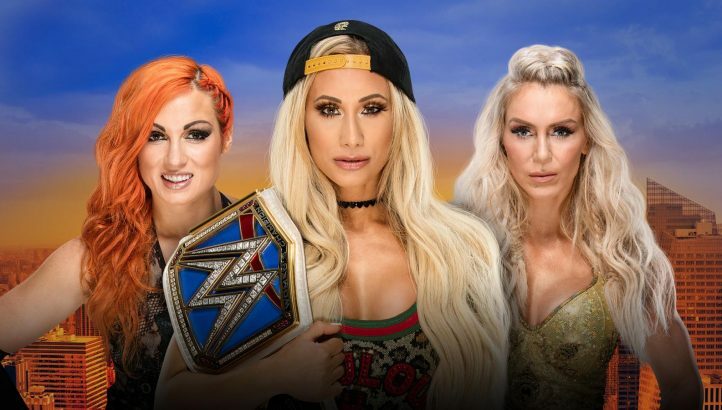 Tune in to find out who will leave Brooklyn as the SmackDown Women’s Champion when SummerSlam streams live on the award-winning WWE Network Sunday, Aug. 19, at 7 ET/4 PT. Charlotte is in the back and she is welcomed back by Renee and then she is asked about being added to the title match at SummerSlam. Charlotte says she was here to support Becky and she did not expect to have a chance to get into a title match at SummerSlam. Charlotte says the Queen is back and she is ready to reclaim her throne. This is an online exclusive story from ESPN The Magazine’s Body Issue 2018. Despite her family history, Ashley Fliehr — aka Charlotte Flair — never expected to be a wrestler. She spent her early years as a volleyball player and gymnast, following in her father’s footsteps only after she attended an event with her dad, wrestling legend Ric Flair, and a WWE executive asked her why she wasn’t participating. Seven championships later, Flair is a SmackDown Superstar. After her recent Body Issue photo shoot, ESPN caught up with Flair to talk about the challenges that face female wrestlers and what it’s like to be WWE royalty. I wish I was more like my character. In character, I am the queen. I am strong. I am confident, sometimes cocky. I’m hard to beat. Out of character, I am a daughter, a sister, an aunt, a best friend and just the girl next door that likes Ben & Jerry’s ice cream. When I first started in the WWE, I had a really hard time because I didn’t look the part. I had the athleticism, but I didn’t have the extra swag and the glam — what my character Charlotte has become today. But when I’m in that ring, I want the audience and little girls and children and adults to see me as the athlete I am, not just a tall blonde that’s a WWE Superstar. No. I am all athlete, and that’s important, that my looks have nothing to do with what I do in the WWE. I idolize my dad because he was such a hard worker. Yes, he has a larger-than-life character, and he is Ric Flair inside the ring and outside of the ring. But growing up, he was just Dad to me. He wouldn’t let me leave the table unless I finished my spaghetti. I do want to carry on my dad’s legacy, but I also want to carve out my own path. I have to work harder, I think, just because I do have that last name. I don’t want people to think that’s why I am where I am in this industry. I put in the time, and I want to be just as good as my dad was. The most challenging thing that female wrestlers face is time. Getting those segments on Raw, getting one, two, three, four segments on SmackDown, main-eventing a pay-per-view, being considered a face of the division. … And I have said it since day one, I want to be an attraction for the company. I want to be a Roman Reigns; I want to be a John Cena. And right now the women are stealing the show and working harder than we ever have. We have had a lot of firsts, and I think we’re on the right path. For me, training is more mental. It’s envisioning the match — seeing the story play out in my mind and how it should play out in the ring. Unless it’s a really big event and you want to do something super high risk, that’s the only way to really train. Because we have four live events a week, and that’s where you get in the most practice, those matches in front of live audiences where it’s not televised. In WrestleMania, I just wrestled Asuka, and I actually came here to the WWE Performance Center and worked on a high-risk move off the top with her. We did it a couple of times in the crash pad. But once you get to the main roster, you should be polished. You should know your moves. With injuries, every match varies. The black eyes are accidents. The broken noses are accidents. But the bumps from when we land on the mat, they’re hard. I think it looks easier, or the fans don’t really understand what’s happening, but it does take a toll. Every week I have some kind of mark on me. And that goes for all the girls. I think that’s what separates us from other people, we’re always walking around with our battle scars, and we’re proud of them.